So I found out what Aurora means... Ready? It means... a radiant emission from the upper atmosphere that occurs sporadically over the middle and high. That's what we knights are in Aurora. Wouldn't it be easier just to say it's light? @Thefallylord wrote: Wouldn't it be easier just to say it's light? Last I checked, my lamp doesn't emit a radiant emission from the upper atmosphere that occurs sporadically over the middle and high latitudes. Three cheers for being a space emission! But "colored lights" is boooriing. Aurora also refers to the roman godess of dawn. Which is also kinda cool. @Red Hawk One wrote: But "colored lights" is boooriing. 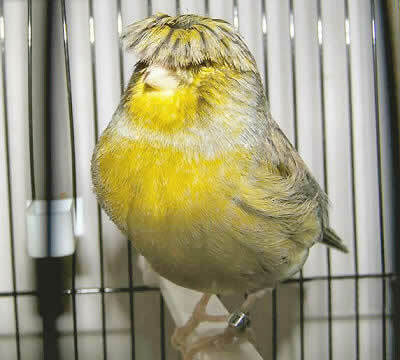 Speaking of sponges, here's a canary with a bowlcut.